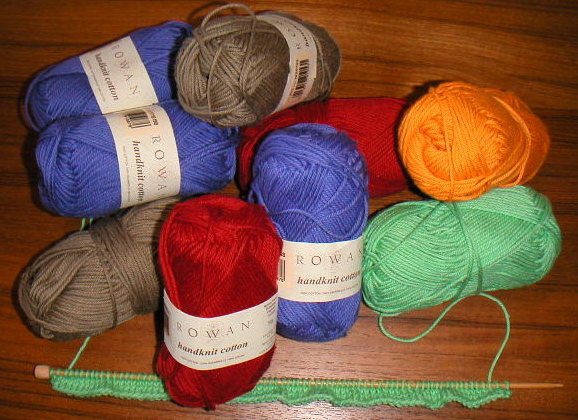 Over the weekend I headed to Lint to buy some Rowan Handknit DK yarn to make baby stuff for a couple of baby showers that are coming up in April. The projects include stripey hats and vests from the Monkeysuits pattern book by Sharon Turner. I forgot how much I hate knitting with 100% cotton. It's tough on the fingers and hands!